Fiber Care Carpet Cleaning and Repair specializes in wood floor cleaning and refinishing. Our highly trained technicians use the knowledge we have gained through years of experience will give you the peace of mind that you would want when you decide who should clean your floors. Hardwood creates a beautiful look for your home, but these wood floors can be sensitive to changes in climate. They’ll expand and contract depending on the weather, and you don’t want them to get soaked in water. 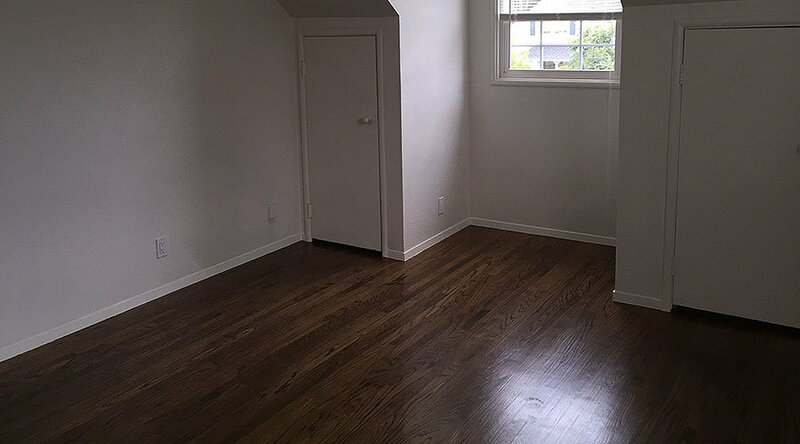 Our technicians are trained to understand the unique character of wood floors and how to clean them. While you may use a dust mop or broom to sweep them, we’ll use a special wood cleaning process that extracts dirt that can be embedded in the natural pores of the wood, as well as the debris that falls in between each piece. We use a professional grade wood cleaner powerful enough to get at the dirt that will elude you—yet gentle enough to guarantee that no damage is done to the protective coating on your hardwood. All of our cleaning products are eco-friendly. We’ll leave your floors looking awesome, and our eco-friendly cleaning solutions won’t be any lingering cleaning odors. Cleaning is the important first step. We also give you the option to apply a preservative that’ll protect your hardwood floors from UV sunlight damage. We use protective coatings that are free of the waxy substances that can actually make it more difficult to keep them clean.